Tshwane University of Technology’s spectacular Varsity Football championship success has extra special meaning for captain Elliot Seema. Along with inspirational coach Bushy Maloi, Seema is the driving force behind the 'Red Machine'. 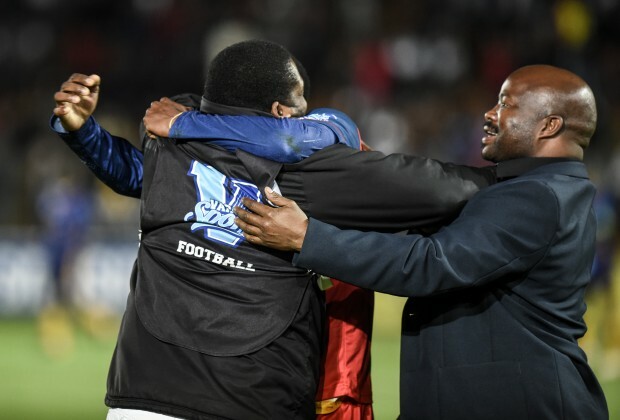 TUT required all their motivational powers to dig deep in Thursday evening’s final, with victory only secured in the 92nd minute when Collen Vilakazi headed home to a seal a 2-1 win. It was the epitome of the character TUT have shown all season after being forced to play all their matches away from their home base. “This title means a lot to the team,” Seema said. The road to success was challenging and the strain of playing every game away certainly showed mid-way through the campaign when TUT were held to draws by lowly University of Limpopo and the University of KwaZulu-Natal, with a defeat to the University of Johannesburg. At that point, the wheels could easily have come off, but Seema believes through the dedication and commitment of the entire squad, coupled with Moloi’s undying commitment to the team, TUT regrouped and ultimately came out on top. “It all started at UL, where all the travelling started to catch up with us. It was a difficult period for us, but we wanted to show that we could do it. Last year’s loss in the final hurt a lot, so we wanted to go all the way this year,” he said.